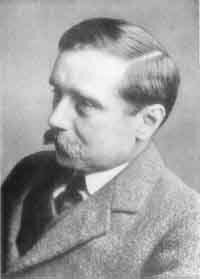 Apart from writing pioneering books that have over time given birth to science fiction and its innumerable cliches, H. G. Wells was known to be a Nostradamus of sorts. Wells envisioned “atomic bombs” that could explode continuously using the power of radioactivity. He foresaw the problem of proliferation and warned that a global government was the only way of preventing nation states from destroying themselves with nuclear weapons. The Earth’s only satellite may not be populated by a subterranean civilisation of Selenites, but the imagined lunar adventure of English amateurs Mr Bedford and Dr Cavor did anticipate the 1969 Apollo 11 Moon landing. Dr Moreau’s monstrous experiments with vivisection, creating human-animal hybrids, can read like a dystopian critique of some strands of modern genetic science. When the Martian hordes landed in Surrey, they brought with them an arsenal of futuristic weapons. Among the most devastating was the Heat-Ray, which fired streams of energy powerful enough to set fire to flesh and incinerate buildings. Wells correctly predicted that a global conflict would break out within a decade, erupting in Eastern Europe before sucking in all the world powers. He was not alone in forecasting conflict during the volatile 1930s, but his descriptions of carpet bombing raids and fear of gas attacks proved prescient.